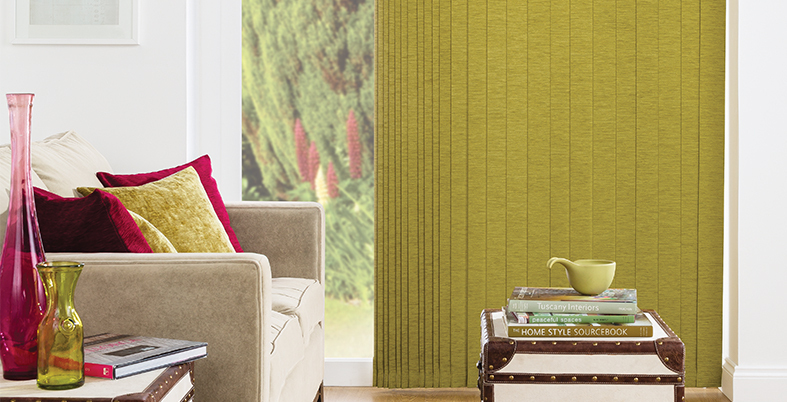 Vertical blinds are one of the traditional means to dress up your windows. It gives an elegant look while let you control completely over filtering the light. At Just Blinds 4 u, we work on this traditional window drape in a distinctive way to make it more durable and stylish by look. We have a wide range of style and colour to fit with your home and office decor. All our vertical blinds are classy and made with proper measurements. So, irrespective of window’s size and shape you can get the right vertical slat to cover up the entire. We ensure our client not only with its quality but also with its maintenance procedures. Although, vertical blinds are the traditional window wear but we offer contemporary designs and sizes and you can avail your desired fabric that fits best with the interior. Our vertical blind slats for common use in office and in home come with a white rail, while you can customize the colour and pattern according to your personal style. Why you need to install it from Just Blinds 4 u? From last ten years, we have been in this blind manufacturing industry providing our products to the Melbourne and its suburbs including Oakleigh, Carnegie, McKinnon, and Moorabbin and beyond. And, when it comes to cover up the window in a vertical way, nothing fits best like our contemporary vertical blinds. Be it in office or in home, our stylish blind slats are made up with the best industrial goods providing maximum control over filtering temperature while leaving elegant look. Last but not least, whether you want the blinds for one window or for the entire, you will always get double the value from our service and product. So, please contact us, if you are planning to install top-grade vertical blinds at affordable rate.